I have been married for 19 years, and in that time we have lived in many different homes. We were both college students when we started out, I was close to finishing my undergrad, and my hubby Ryan still had a few years to go (don’t worry, I didn’t rob the cradle. He took off a few years to volunteer for our church in Florida so he was a bit behind in his graduation plan). We lived through the tiny apartment with the bed touching 3 walls, enjoyed being ‘cozy’ in the apartment that had bad heating and forced us to hang up blankets over doorways and use space heaters in the living room, and really loved the apartment that was in an attic and had such low ceilings that Ryan who is 6’4″ would hit his head on the light fixtures. Made for some entertaining middle of the night expletives! In all of these temporary dwellings I dreamed of owning a home, having space to spread out and grow our family, not sharing walls or vents with neighbors. Having all the freedom to be noisy and live loud. After 6 years and 2 kids joining our crew, we bought our first home-and loved it. 2900 square feet of perfection. Depending on your perception that could seem large or small, but it felt ginormous to us. I joked that we could lose each other in the house, and it felt novel to need to actually look for one another. After 8 more years of happiness and 2 more kids added to our bunch, we decided to sell and move. Not because we didn’t love the house (truth be told I cried for days after selling, and couldn’t drive by the old house for almost a year without a total meltdown). We moved because there just weren’t any kids in the neighborhood for our children to play with. We wanted them to have life long friends on the block, friends they could get into mischief with, stay out too late with, and have long under the covers cell phone conversations with in the dark of night. So we moved. The house we bought was almost twice as big-4700 sq feet-and brand new. It was like heaven and we were thrilled to be the owners of all the dirt in the house. But it’s funny how we were able to fill it up with our family, and our stuff. Oh, the stuff. Where had it all come from? Why did we have so much? And where was it all going to live? Ironically, that is when I began to long for a simpler life and look back with fondness on those early years when we didn’t have a lot of things, our bills were easily paid with 4 checks a month, and cleaning the entire house took less than 2 hours on a Saturday morning. It is so true that the grass is always greener! Last week I began to help a good friend to organize her home, de-clutter, create systems and help her home run smoother for her and her 8 children. That’s right-8! And she homeschool’s them! And runs a successful at home business with her husband! So successful that she has a home double the size of mine-about 10,000 sq feet. In our early years of marriage, I used to go to the Parade of Homes tours where they showcase custom homes like my friends that are decorated to perfection. These tours would always leave me feeling discouraged and dissatisfied with my own home, especially when we lived in an apartment. Seeing how the other half lived made me realize that chances of me ending up in one of those million dollar homes was likely to never happen. I truly felt like the size of my home was the measure of my worth. What struck me as interesting though is how differently I feel now than I did 15 years ago. I have finally found contentment and happiness in my life the way it is right now, including the home I live in. Unless you can be happy in the situation and life you are living right now, you won’t be happy anywhere else, or with anyone else. So when you think the grass is greener, it really isn’t. It’s all starts in your thoughts. Some might say I am just having sour grapes after spending time at my friends home. Or that as I am getting older I am feeling resigned to my life. But the fact is, I have a lovely home in a safe, kid friendly neighborhood, and I am grateful. It’s taken most of my life to find this level of satisfaction, but it feels good. Nothing outside me has changed, but my thoughts about my home and my life has changed and that has made all the difference. Just watch, in 10 years I’ll be moving into one of those portable tiny homes and living the truly simple life, and loving it. 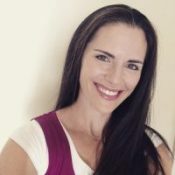 I am Heather Johnson, busy mom of 4 active kiddos and 1 golden retriever, trying to navigate the journey of motherhood raising independent, self-reliant kids. I try to keep it real and that means sometimes it's messy. I'll share what I've learned so far, what's worked and what has failed, and share some laughs along the way. Subscribe and stay up to date on the crazy life we lead as I try to 'vintage parent' my kids to adulthood.